The Pasadena Symphony has extended the tenures of Music Director David Lockington and Principal Guest Conductor Nicholas McGegan through the 2018-2019 season. Lockington and McGegan were each appointed three years ago with three-year contracts and the contracts have been extended each year, in effect making them “evergreen” contracts. Lockington will conduct four concerts during the upcoming season, beginning with the opening programs at 2 p.m. and 8 p.m. on October 8 at Ambassador Auditorium. McGegan will lead two concerts at Ambassador and the seventh event will be the now-annual holiday-music concert on Dec. 17 at All Saints Church in Pasadena. The final Pasadena Pops concert of the summer season will be Sept. 10 at the Los Angeles County Arboretum in Pasadena. Nicholas McGegan (pictured right) has been coming to Hollywood Bowl as a valued guest conductor for 20 years and we have had the privilege of watching him grow during those two decades. Originally he was advertised as an early-music specialist and, indeed, his all-Handel concert Tuesday night reinforced that image. 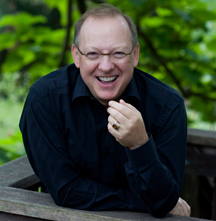 However, in the past few years McGegan — especially in his role as Principal Guest Conductor of the Pasadena Symphony —has been pushing his own envelope, expanding his repertoire into the Romantic era, as last night’s program demonstrated. On paper, the program of Weber’s Overture to Oberon,, Mozart’s Piano Concerto No. 20 in D Minor, K. 466, and Schumann’s Symphony No. 3 (Rhenish) would seem to have a foot in both camps but the performances placed it squarely in the Romantic style. That emphasis was aided by two short video conversations between McGegan and Scott Alan, curator of Unruly Nature: The Landscapes of Théodore Rousseau, an exhibit of Rosseau’s paintings showing through September 11 at the J. Paul Getty Museum. In the paintings and commentary — think of them as “preconcert lecture light” — McGegan and Alan discussed the musical pieces that might have influenced Rosseau whose time (1812-1867) almost exactly coincided with Schumann (1810-1856). The Weber overture proved to be a sparkling opening to the evening, although the video interview — which was played while the piano was being moved onstage for the concerto — focused more on Der Freischutz as opposed to Oberon. Nonetheless, high marks to Jeffrey Fair’s horn solos that opening the evening, Burt Hara’s clarinet solo, and the rhythmic precision of the entire string section. In the video clip, McGegan encouraged the audience to remember the dark, forest paintings of Rosseau as it listened to the transition from the Weber overture to Mozart’s D Minor Piano Concerto, one of the darkest in the composer’s repertoire. 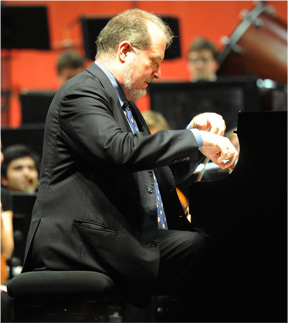 After a summer that featured both Lang Lang and Yuja Wang, it was a pleasure to watch and hear Garrick Ohlsson’s performance last night. Unlike his younger counterparts, there is a sense of serene calm to Ohlsson (pictured Left), who sits quietly on the bench while he plays, just letting the music weave its own magic spell. This was especially true in the famous “Romance” middle section, but even in the outer movements Ohlsson continued to project a sense of stillness during his pristine runs, trills and cadenzas. That atmosphere of serenity was even more apparent in Ohlsson’s exquisite rendition of Chopin’s Nocturne in F-Sharp Major, Op. 15, No. 2. For the second night in a row the Bowl seemed like an intimate concert hall with the skies opened to the heavens, a rare moment indeed (high marks, also, to Ohlsson for clearly articulating through a microphone the entire title of the Nocturne prior to playing it). Despite the fact that this was Mozart, the concerto’s performance had a very “Romantic” feel to it. The orchestra was larger than what Mozart used and, of course, the Steinway grand on which Ohlsson played was a long way from the pianofortes that Mozart would have used when he first performed the piece in 1785. However by the time of Beethoven — according to Susan Key’s program notes this was the only Mozart concerto Beethoven played in public — the piece would surely have sounded different and so it did last night. McGegan emphasized the work’s sweeping lines and dark textures, and the orchestra — with basses placed to the far right of the ensemble and the cellos directly to McGegan’s right — played with its customary level of excellence. Schumann’s “Rhenish” Symphony — the subtitle refers to the fact that the composer had just moved to Düsseldorf, a city on the Rhine, in 1850 — continued the Rosseau-inspired theme. In one sense, the piece looks backward — like Beethoven’s “Pastoral” Symphony, Schumann’s “Rhenish” has five movements. However, the work clearly introduces the “Romantic” symphonic concept to the world and McGegan’s take on the piece was, for the most part, straight forward in its concept. In particular, he invested the fourth movement, Feirlich (“Solemn”) — inspired by the composer’s trip to the recently completed and majestic Cologne cathedral — with the proper sense of brooding awe, which provided a perfect contrast to his perky take on the concluding section. The Phil’s brass section — particularly the horns — were in fine form throughout the performance. • Then on Thursday, Bramwell Tovey returns for the first concert in a two-week stint on the podium, bringing a program of rarely performed movie music by Bernard Hermann, Leonard Bernstein, and George Gershwin, along with Pas de deux, a new double concerto by James Horner to be played by Mari and Håkon Samuelsen, the Norwegian brother/sister duo that commissioned the piece. Bruce Kiesling (pictured left), who has served for the past two years as Assistant Conductor of the Pasadena Symphony and music director of the Pasadena Youth Symphony, has been named music director of the Adrian (MI) Symphony. His appointment takes effect July 1. Kiesling succeeds John Thomas Dodson, who stepped down at the end of the ASO’s 2014-15 season after a 15-year-tenure. Kiesling is just the fourth music director in the orchestra’s 35-year-history. Kiesling’s appointment came after an extensive search and an appearance with the orchestra in April. Adrian is a town of nearly 22,000 people near the southern border of the state, about 40 miles south of Ann Arbor and 75 miles southwest of Detroit. The orchestra’s concerts take place in Dawson Auditorium in the campus of Adrian College. For Kiesling, this is something of a homecoming; he holds a graduate degree from the University of Michigan in Ann Arbor. Kiesling, who calls himself “schizo-musical,” will lead a season of four classical concerts. Last season the orchestra also played three Pops concerts had presented a brass ensemble recital, but the orchestra’s media release made no mention of those activities. 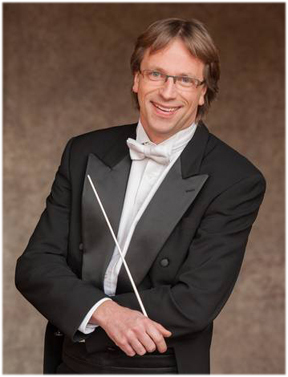 In addition to his Pasadena Symphony duties, Kiesling currently serves as Music Director of the Tulare County Symphony. For five years, he conducted the Youth Orchestra of Los Angeles (YOLA) for the Los Angeles Philharmonic, where he led multiple orchestras of different levels including most of the 700 students at YOLA’s three sites. YOLA is Gustavo Dudamel’s signature music education program, which brings free-of-charge musical opportunities to underserved youth in Los Angeles. 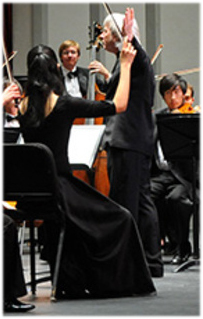 Kiesling also leads the Orchestra and Opera at the University of California Santa Cruz. In an Adrian Daily Telegram article, Kiesling said that he will be “dialing back” his other orchestral commitments in order to spend the kind of time with the ASO that he knows is vital. “It’s important to me to be there enough to really hear the community,” he said. What that means for Pasadena is unclear. In addition to his conducting, one thing about Kiesling that the Adrian community will come to love is his pre-concert lectures. He’s one of the best I’ve heard about engaging audiences in this often-tricky art. 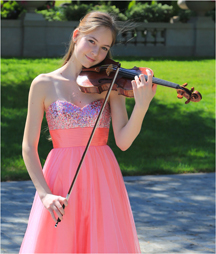 Read the Adrian Symphony Orchestra’s media release HERE. Read the complete Daily Telegram article HERE. Every time Nicholas McGegan (pictured right) conducts the Pasadena Symphony we learn something new about this 65-year-old native of England who last Saturday completed his first year as the orchestra’s Principal Guest Conductor. From a witty, erudite Q&A with PSO President and CEO Laura Unger preceding Saturday afternoon’s concert at Ambassador Auditorium, we learned a good deal about the opening work, an 18th century ballet suite from the opera Naïs by Jean-Philippe Rameau, including how to recognize the work’s end. 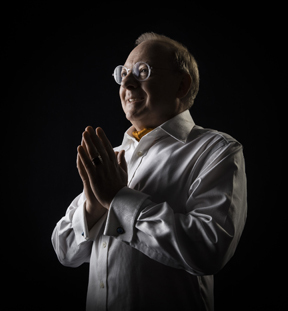 McGegan — ever beaming his cherubic smile — delivered a condensed version of the intro before leading a sparkling performance by the orchestra that featured Theresa Dimond grinding a massive wind machine and then ending the work with a tambourine smack. One thing we had learned from previous concerts is that McGegan likes his tempos fast, and that was evident in the opening movement of Beethoven’s Symphony No. 6 (Pastoral). Things quieted down in the second movement, which was notable for lyrical, silky strings. McGegan played a game of “How well do you know your Beethoven?” by adding a measure of music at the end that Beethoven wrote after the piece was en route to the printer. Tempos picked up again in the third movement. Perhaps this wasn’t the best choice, as there was not as much contrast with the “Storm” section as at least this listener would like. Overall, this was a sunny, breezy performance of this much-loved work, notable particularly for smart playing from the winds. Actually, Lewis played like someone much older than her 16 years. Using a 1991 violin made by Arkansas luthier Terry Borman, on loan from the Doublestop Foundation courtesy of acclaimed Chinese violinist Cho-Liang Lin, Lewis produced luxuriant tones in the middle and lower registers and a silky, sweet tone on top with remarkably consistent and lyrical runs and trills throughout the performance. She maintained almost constant eye contact with McGegan (there were several sly grins between them in the third movement) and the two, along with the orchestra, combined for a gentle, graceful performance of this sunny work.